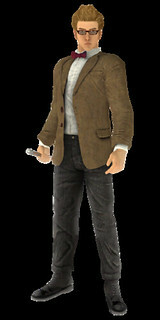 The world’s most famous Time Lord is entering the virtual world. 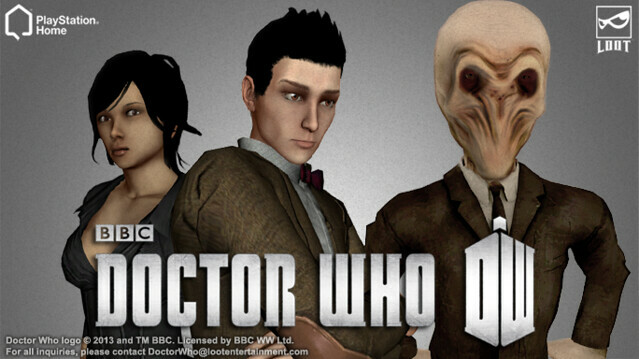 Starting March 27th, 2013, the BBC’s iconic Doctor Who brand will join PlayStation Home. In Wave One, you’ll have the chance to step into the world of Doctor Who in a variety of ways starting with some of the series’ most iconic costumes. Fans can deck themselves out in the Eleventh Doctor’s classic tweed jacket and bowtie outfit and even accessorize with the legendary Sonic Screwdriver . There are also some options for prospective Companions too, starting with the River Song catsuit, complete with PDA accessory (but no peeking at the diary). If taking on an alien form is more to your liking, you can become a prehistoric warrior Silurian or suit up as an ominous Silent to deal silence across the PlayStation Home community. 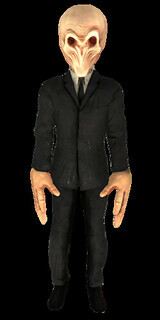 You can even acquire a Cybermat as a companion that will follow you around PlayStation Home (nanovirus not included). No Doctor Who experience would be complete without the iconic TARDIS which will be available as both a private estate and clubhouse where you can join your fellow Whovians and explore the wonders of the TARDIS. This expansive private space and clubhouse is unlike anything Home fans have seen before and comes equipped with a LOOT Active Camera so you and your friends can capture your adventures and seamlessly upload them to your YouTube account. So, what are you waiting for? Visit PlayStation Home and the LOOT store and begin your wibbly-wobbly, timey-wimey adventures today. NICE. It’s such an exhilarating theme song. Where’s William Hartnell, Patrick Troughton & Tom Baker? This could actually drag me back into PlayStation Home. I’m looking forward to seeing the next wave release, too. Oh my god, Yes! So getting the screwdriver if its available for female avatars. Secondary question but probably more important, is home going to be on PS4? Expect they’ll only focus on the current Doctor, not even the 9th or 10th, at least to start and that’s going to be a real shame. We need the older Doctors as well. And a TARDIS personal space. 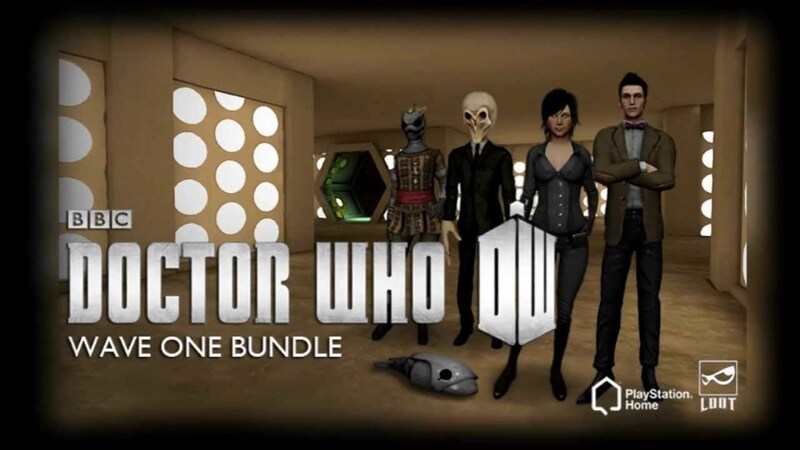 But I can’t be the only person who wants Doctor Who stuff to use in Little Big Planet. Ohhhhhhhhhh man! Mine, mine, mine, mine, MINEZ!! I cannot wait to get my virtual mitts on this stuff. I’m SO making my club over with the TARDIS layout. And this is only wave one!!!!! So exited! I want the Tom Baker Doctor Who outfit with 14 ft scarf!!! Don’t thank us, thank our friends over at BBC and LOOT for making this all come to pass. I Am a Whovian and from what the video shows …we are getting a lot and yes thank you LOOT and BBC..and from what I hear this is wave1 so I am assuming that there will be a wave 2 and possibly more..keep your fingers crossed and your Sonic Screwdriver ready..Allons-y!. There are very few things that could tempt me into Playstation Home. Actually, there’s probably only one thing. How did you know it was this? Psychic paper?? Well played, use the silence to make us want to go into PlayStation Home. I would have gone anyway but now for some reason I have 6 marks on my arm and need to go into PlayStation Home. Looks like I will be coming up with a scrip on how I “the Dr” will be defeating all the evil scum of the universe in my TARDIS. @7 I hope they do make the screwdriver for female avatars. Getting a bit annoyed how certain items are only for one gender. That TARDIS better be big, considering that we’re getting it free. and last but not least, a way to Fly higher than we do now when we are using our flying locomotions . Great Update, thank you LOOT, BBC , Thank you Mr. Peterson and Magnus .